We provide our clients with Silver / Brass / Copper Brazing Rod in a wide range of compositions to suit specific applications. 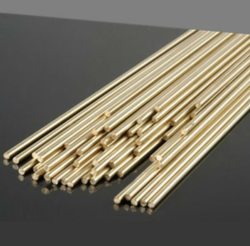 Copper silver brazing rods of Cupro are well known for its quality, durability and high tensile strength. We are offering excellent quality Welding Rods to our client. These are manufactured from superior quality raw material. 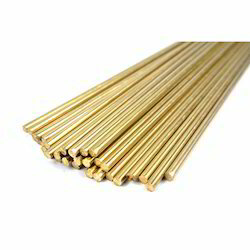 Made of Brass Welding Rod of construction by our vendors, these are known for higher intensity and strength. We provide our clients with Silicon Brazing Rods in a wide range of compositions to suit specific applications. These rods can be manufactured as per the specifications provided by our clients. 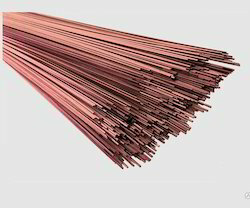 Copper Brazing Rod of construction by our vendors, these are known for higher intensity and strength. Further, these are also known for corrosion resistant features and are provided in varied sizes & shapes and melting temperature as per the application demands. Mild Steel Welding Rod is nothing but a terminal through which electric current passes between metallic and nonmetallic parts of an electric circuit. Accordingly, we are an expert producer of Mild Steel Welding Rod which is considered as low hydrogen products. The range is sturdy and durable in nature and is used in welding of stainless steel. Further, our range of Stainless Steel Rods can remove cold slag automatically. 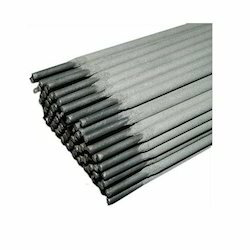 We are engaged in offering SS Welding Electrode to the clients. Licensed manufacturing of international quality, superior featured Stainless Steel Wires, Welding Electrodes, Certified manufacturing facilities, modern R&D centre, state of the art machinery & QC systems, ensure the production of world-class quality matching /exceeding the best produced anywhere in the world today, in these product categories. 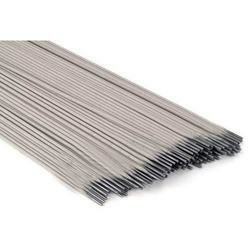 Welding electrode is amongst the industry leaders in India. By virtue of the most advanced technology sourced from the world's leading organisations, coupled with India's low-cost manufacturing advantages. 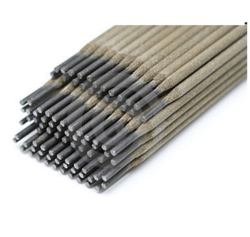 We are engaged in providing superior quality Cupro Nickel Welding Rod. The provided wire is manufactured under the supervision of our experts using the quality assured nickel with the aid of contemporary machinery. Widely used as anodes in electronic tubes, transistor caps, leads of electronic components, the desired wire is checked on several quality parameters. We provide our clients with Silver Brazing Rod in a wide range of compositions to suit specific applications. These rods can be manufactured as per the specifications provided by our clients. 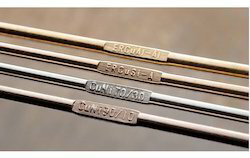 Copper-silver brazing rods of Cupro are well known for its quality, durability and high tensile strength. Nickel Aluminum Bronze Welding Rod is used for MIG and TIG welding of the cast and wrought nickel-aluminium bronze parts such as ship propellers, where high resistance to corrosion, erosion and cavitations in salt or brackish water is required. Nickel-Aluminum Bronze is a very popular filler metal in offshore technology for such items as sea-water desalting, shipbuilding and repair. Also used in the power plant and chemical industry for pumps and tube systems. Helium may be preferred when TIG welding on Al-bronzes that has 300°F maximum interpass recommendations. 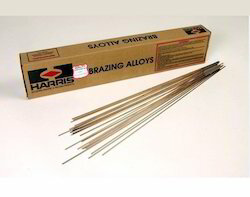 Harris Brazing Rod is the process of joining metals in which a filler metal is heated and then distributed over base metals joining the work pieces with the help of Brazing Rods. Looking for Welding Electrodes ?